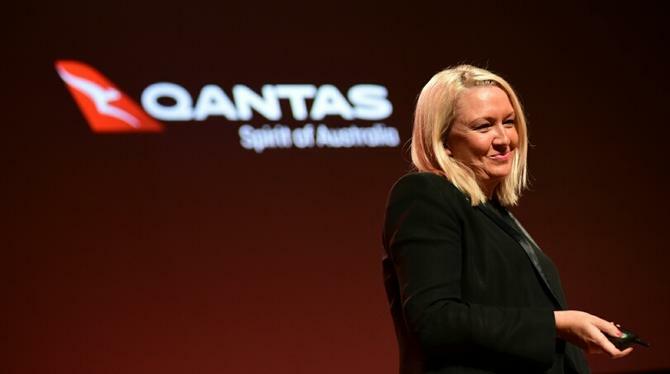 Speaking to CMO during this week’s Adobe Symposium in Sydney, Qantas marketing chief, Stephanie Tully, said the company was confronted with a burning platform for change in 2014 after appearing in too many headlines for the wrong reasons. A transformation program, for example, aimed at removing cost from the Qantas business, resulted in job losses and ill-will. In addition, industrial action and an overly dominant corporate brand had left the brand tarnished. “That set up an incredible foundation for change at Qantas,” Tully said during her presentation at the event. “It was a great opportunity to reinvest in our brand, recreate our future and galvanise our people and the country more broadly. Since then, the airline has been investing in a hefty mix of technology, data, people and brand marketing, complemented by a mass market Qantas brand repositioning campaign from last October. The work has led Qantas to its highest Net Promoter Scores against its competitor in years (34 points up). It was clear customers wanted to love and support the brand, Tully said. So Qantas set out on a wider evolution of customer experience, from replatforming digital capabilities to tapping customer data sets and realigning staff capabilities to reflect a customer-centric workforce. On the technology front, Qantas has adopted a number of components of Adobe’s Marketing Cloud, including Adobe Experience Manager to replatform and personalise the core Qantas.com website, and Adobe Audience Manager. The team has also just rolled out Adobe Campaign for executing activity. For Tully, one of the biggest changes to date has been establishing the Red Planet business, based on Qantas’ loyalty data, and creating an internal media buying trading desk. This allows Qantas to buy owned media programmatically and optimise advertising campaigns on the fly. “Modernising our marketing capability and insourcing some of our buying enables you to have skin in the game,” she told CMO. “You have people who work for Qantas and get paid by Qantas managing your media optimisation.” Qantas also brought search engine marketing in-house. Content is another one, although Tully still saw a place for external, fresh thinking on larger-scale projects, such as its new-look brand advertising. “That insourcing trend will continue – the more people you have that can really own the output, the better,” Tully added. As a result of these changes, Qantas marketing has generated more than $100 million in incremental revenue, all with a relatively small amount of people. Across the board, Tully said the focus has been on creating change, making direct connections with customers, mass personalisation and measuring the customer, rather than big data, segmentation, mass reach, and channel measurement. “An advantage to being around for a long time is having great people and great data. But it’s how you use that data to personalise experiences and talk to people one-on-one that is key,” she continued. Tully claimed too many organisations get obsessed about having a data strategy, rather than having a business or customer strategy that data enables. “Setting up the right content, technology and channel execution on top ultimately to deliver business change is what is key to success,” she said. The next phase for Qantas is stitching everything together across the whole business including new loyalty ventures. The digital transformation and customer experience evolution has relied on cross-functional success, and Tully noted Qantas’ fully matrixed structure as a step forward in that direction. Digital transformation also required a much leaner, new way of working where IT are embedded in the business and change can happen faster, Tully said. “We have been setting up agile team processes where you have marketers, analytics, merchandising people on the site all working together on specific things in an agile way,” she explained. “Because the technology keeps changing, hiring people who are comfortable with being in a fluid role is important. The ability to measure success better, more incrementally, quickly and transparently, has really helped foster this test-and-learn culture within Qantas, Tully said. Through all of this, Tully’s emphasis has been on finding people with a growth mindset who are willing to experiment. Tully also stressed the importance of balancing data, technology, people and brand – or the “mad men” versus “math men”. “Any time we’ve been focused too much on one than another has led us down dangerous paths,” she said. “I’ve seen ideas from within the team that are obsessed with audience and how you’re going to reach, without really thinking about why you’re doing it. What’s helping keep the marketing team aligned is having a defined role as a revenue contributor that’s understood across the business, measured and rewarded. Tully said today’s CMO must be growth and commercially minded, have an ability to be flexible, and “embrace the grey”. They also need to realise they’re not the sole custodians of the customer, Tully said.